Get expert advice from a Zoho Books Advisor. Manage your small business finances on the cloud with Zoho Books. Here is a list of Accountants, Bookkeepers and Financial Advisors you can choose from to help you run your business finances in Zoho Books . Go ahead, explore, and find the one that suits you. We are an organised team of experienced CA, CS, and Lawyers, duly supported by a pool of trained accountants and paralegal staff. We are supporting startups in maintaining their Books of Accounts, TDS & GST Compliance since 2004. We deliver exceptional services through our support offices at Delhi, Mumbai, Bengaluru & Kolkata. Our processes are designed to offer fast and reliable services, mostly provided through online mode, with complete transparency. 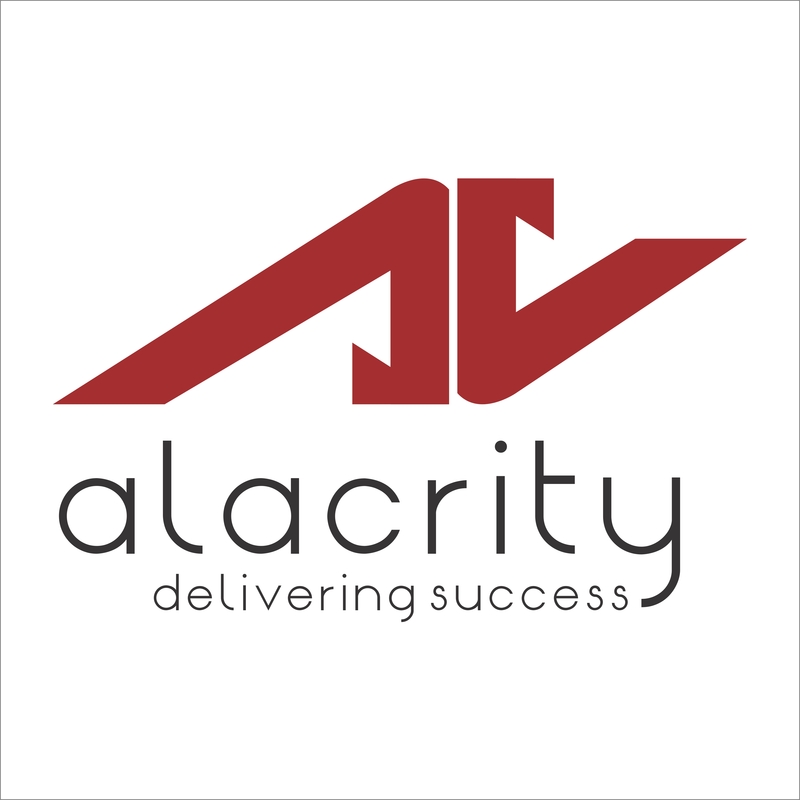 ‘Alchemist Accounting' is a consulting firm with dynamic professionals and Industry experts. Services offered by ‘Alchemist' encompass Assurance services, Financial &Business Advisory, Performance &Risk Advisory, Merger &Acquisition and Accounting services. Zoho implementation,Zoho Training,Zoho creator development, custom functions.Accounting,Book keeping. We provide support and services to an implementation of a wide range of Zoho products that can be customized to suit your business. We are located in Surat, Gujarat with a strong understanding of your business. We help you to accomplish your business solution by ZOHO Book, Inventory, Subscription, Creator, Campaign, Report, Checkout as well as we help you to achieve your sales goals by the Top class Zoho CRM. GADEWAR & ASSOCIATES is an Accounting, Auditing and Consulting Chartered Accountant, involved as Practicing Chartered Accountant in Year 2011. CA Pushpak Gadewar the Proprietor of the Firm is one of the professional services provider in Nagpur, which provides a wide range of professional services in the areas of Bank Audits Statutory Audit, Tax Audits, VAT Audits, GST Compliances, Accounting & Other Financial services to medium and small scale organizations. I've over 10 years of Accounting experience in outsourcing industry where my career mainly has been focused on managing outsourced accounting procedures of client’s from all over India, US, UK, and Australia region. CT Consultancy is a team of Finance managers offering tailor-made solutions in Accounting for SMEs. With an entrepreneurial mindset, CT Consultancy understands the challenges met by being a start-up/SME Company and the need to have a Finance Manager you can trust.CT Consultancy provides a full suite of Accounting services including the choice and the set-up of the best accounting solution for the companies. 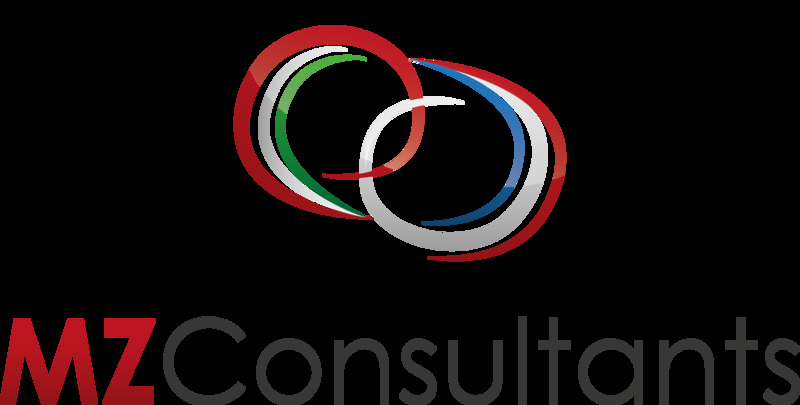 The Strategic Consulting Group provides strategic consulting services for leaders and teams of for profit and not for profit organizations that are facing unresolved challenges. We have consultants in Ottawa and Toronto who work with organizations of all sizes in Canada and the USA. We understand that every organization is unique and for that reason we customize our services to match their needs. Our goal is to serve our clients with cost effective, relevant and practical solutions. Providing Zoho Implementation Services. 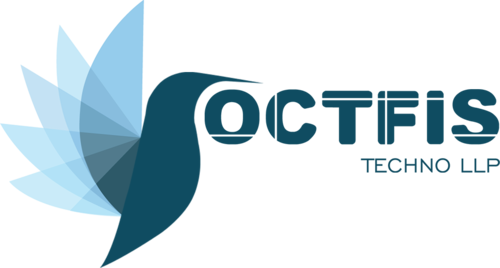 Technology platforms, Integrations, and software support Services. 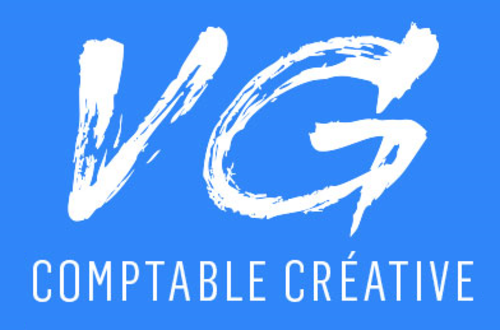 Comptabilité analytique;Intelligence d'affaires;Optimisation comptable;Implantation de système comptable;Coaching financier. We are a team of Chartered Accountants, Business Advisors and Zoho Consultants with over 10yrs experience helping small to medium size businesses manage their finances using cloud accounting software. In partnership with S2S, a Zoho Advanced Partner, we provide the complete gamut of Zoho services. Whether you are looking to migrate from your current accounting system to Zoho Books or need help to streamline your back office operations, we can help you achieve business success using Zoho. Brindamos soporte y servicios para la implementación de una amplia gama de productos Zoho. Estamos en Argentina y México. Brindamos servicios de integración con Factura Electrónica en Argentina, México, Guatemala, y países de Latinoamérica. También ofrecemos integración con Mercado Pago.Apoyamos en asesoramiento contable con el uso de Zoho Books en Argentina y México. We comprise a proficient team of corporate financial advisors, Chartered Accountants along with other financial experts who come with years of experience. Our accounting firm services know no leaps and bounds as we explore the extensive fields of finance. We are a chartered accountant firm practising in Accounting and compliance of Direct and indirect taxes. FACT is a multidisciplinary Firm licensed in the UAE and operating in the domains of Finance, Accounting, Consulting and Tax. FACT has successfully completed both departmental and organisation wide ZOHO implementations for several Clients. Some sectors we have serviced are: IT, Trading, Entertainment, Pharmaceuticals, Contracting, Healthcare, Consulting, Technical Services, Logistics and Manufacturing.Give us a call or drop us an email, we’d love to get a conversation going. KDG boasts one of the only teams of certified Zoho developers located entirely in the United States. Our team of Accountants, Zoho Developers, Software Developers, and Business Analysts are prepared to deliver solutions that span from intent to balance sheet and every where along the way. Not only will we provide setup and migration, but we are fully capable of providing ongoing bookkeeping and financial analysis for your growing organization. We provide support and services to an implementation of a wide range of Zoho products that can be customized to suit your business. We are located in Mumbai with a strong understanding of your business. We help you to accomplish your business solution by ZOHO Book, Inventory, Subscription, Creator, Campaign, Report, Checkout as well as we help you to achieve your sales goals by the Top class Zoho CRM. 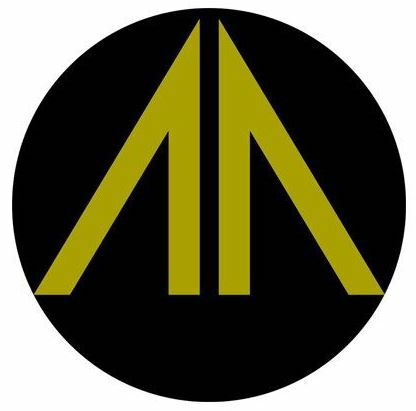 MMAK & CO is a firm of chartered accountants based in Bengaluru.The firm was incorporated in 2018 with the objective of rendering professional services of the highest standards to its clients upholding the ethics and code of conduct of the profession.The firm renders its services under various verticals such as Assurance, Taxation, Regulatory, Advisory, Accounting and Bookkeeping and Virtual CFO services to its clients across Industries, Segments and geographic locations. We help SMEs, SMBs to increase their profits through tailor fit business automation solutions like POS, ERP & webdesign & SEO services. We do everything you would expect your accountant to do… and more! We help businesses of all sizes and individuals to manage their finances, let them focus on achieving the results and assist them to comply with tax regulations and procedures . We are proud to be one Dubai’s leading Accounting and Consulting Practice and serving our client for 11 years. Our friendly advisors have extensive experience and have worked with the reputed firms and companies. Our aim is to provide all accounting services in UAE and Gulf Countries, under one roof without any hassle. We cater to all your accounting needs such as bookkeeping, financial reporting, VAT UAE compliance, business consultancy and much more. 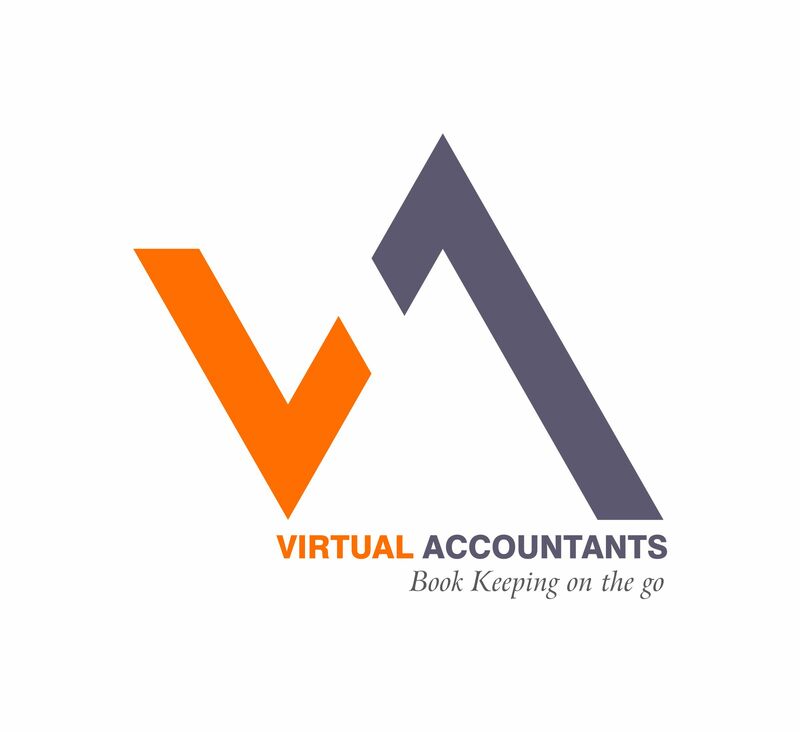 Virtual Accountants (VA) started operations in 2016 serving clients in accounting and compliance. TVA is a leading business process outsourcing and consulting firm headquartered in Chennai, India. Managed by qualified team consisting of Chartered Accountants and Cost Accountants, supported by an extended team of Company Secretaries and Business analysts. Technobeans is an IT Solutions Provider in the Middle East. The Company has a wealth of experience in wide range of technologies and have been providing customized solutions to businesses of all size. The company is located in Al Jubail, Dammam in the Kingdom of Saudi Arabia. On technology side, Technobeans has a competent team of developers who are experts in technology with a major focus in Enterprise resource planning, Digital Marketing, Custom web and standalone application, Mobile applications etc. The key partners and promoters of the company are multifaceted individuals having experience in both product and support services. 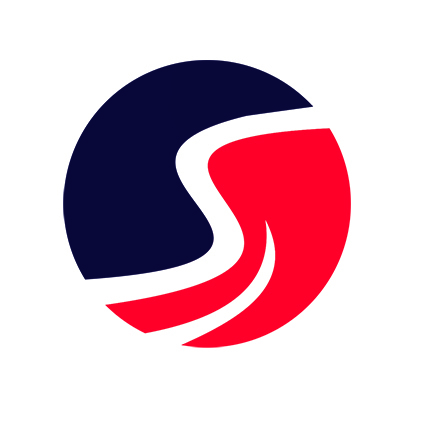 Within its brief period of operation, the company has gained reputation both nationally and internationally. We are a conglomeration of enthusiastic, young and experienced professional, with comprehensive experience in varied industries and virtuoso over dynamic business models. Individually we have experience in variegated financial fields like start-up counselling, taxation, payroll management, financial viability, etc. Our passion towards accounting, corporate taxation, corporate laws and risk based audits binds us together and we aim to deliver an all-encompassing support. Elitbuzz Technologies is an integrated business solution offering CRM/ERP, Financial Accounting Solution, SMS/ Email Management, IT Development and Online Marketing solutions across whole UAE region. We consult and provide our extensive support in deploying Zoho Books. With our robust portfolio of advanced Integrated Business Solution, Technologies, Cloud Platforms, and world-class offerings are committed in supporting organizations to build their business strong. 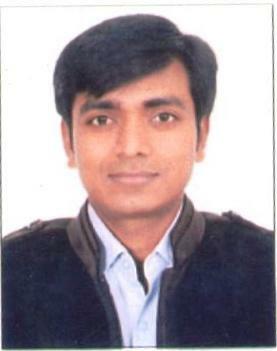 CA Pawan Periwal had work experience of almost 16 yrs and into practice of Indirect Taxes. He had experience in carrying out diagnostic review of business operations, impact analysis of VAT/ EXCISE/ GST on different business and handholding India GST Impact Analysis and GST Implementation. he delivered more than 100’s lectures and also authored book named “Simplified Goods and Service Tax”. he handled VAT implementation in UAE too. We provide Book keeping services to Small and Medium Businesses in the UAE. 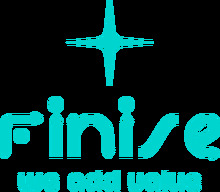 Finise is a UAE based advisory firm, providing Accounting, Financial and Tax related services to clients across the GCC. Our partners and directors have over 60 years of cumulative financial expertise. Our business model is based on understanding client needs and helping them find practical and cost effective solutions which create and sustain value to our clients. We are a team of qualified professional accountants affiliated with renowned accountancy bodies of the world including ACCA & UAECA. Senior Partners at Kingsway started their careers with big accountancy practices and gained expertise in several functional areas and exposure of number of industries. Our discern approach in Business intelligence assists our clients to achieve excellence in their fields. Our main focus is in Financial Accounting and book keeping outsourcing services to medium and small customers. Providing book keeping, accounting, VAT Implementation, Tax consulting services. Having Accounts Desk and Service Desk that connects with clients one to one in providing the services. Management and Business Consulting. Internal Auditing and CFO Services. CRM Direct Sales Acquisition team. We are a team of professionals, passionate about providing the support needed to bring the dreams of aspiring entrepreneurs and SME’s to life. We believe in providing you not only with the basic needs of the company, but also equipping you with the necessary tools to analyze and manage in an effective manner which aids the growth of your business. 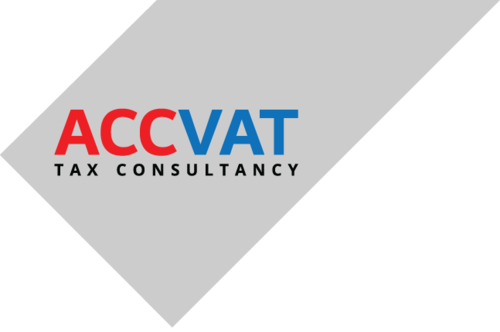 We are a tax and accounting company with a difference - our work doesn't end with VAT Returns and providing financial statements - it starts there! 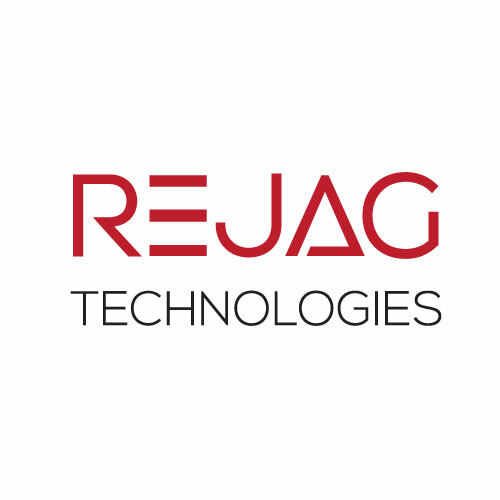 Reputed CA firm Based in Bangalore, having offices at Mumbai and Chennai. 21 Years of Experience in Auditing, Accounting, Advisory and Taxation. I have been providing bookkeeping and tax consulting services across the world. I have clients based in India, Dubai, and the USA. I would like to join your certified advisor program and would like to promote my services and your software as well. It is very much user-friendly and has got the facility for API integration as well. I would love to promote this software. 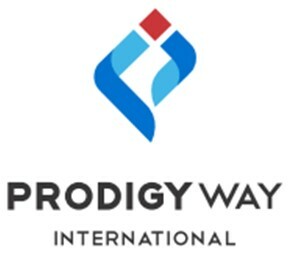 ProdigyWay International is a firm that offers in-depth business expertise and professional skills to a variety of small and large organizations in the UAE. 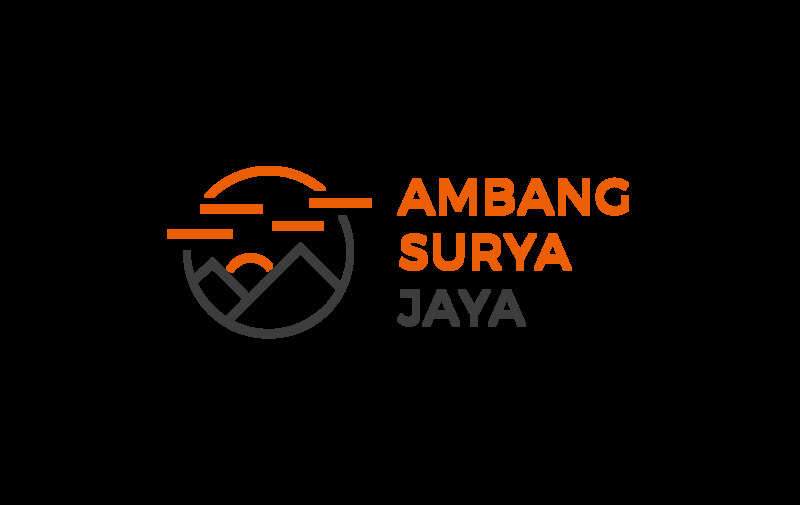 As a well-reputed finance and accounting company, we provide exclusive services in Taxation, Audit, Accountancy and Advisory for all our clients. We at Go For Filing, with our head office in Mumbai, provide end to end services with respect to Zoho books. We also provide Accounting & Bookkeeping, Audit & assurance services, Registrations, compliances and many other services; all at a single place. Our teams are always upto date on the latest changes in the legal and business environment. 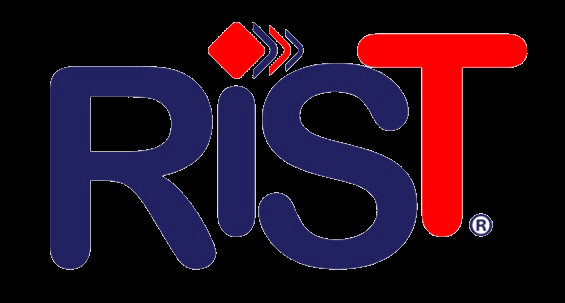 RIST information systems & technologies (RIST) has become a dynamic and fast moving company in Client Solution Management in Information Technology in Bahrain and has proven itself to be one of the market leaders. Established in 2016, we have quickly expanded our operations in GCC and served customers from Qatar, UAE, KSA, Kuwait and Oman. 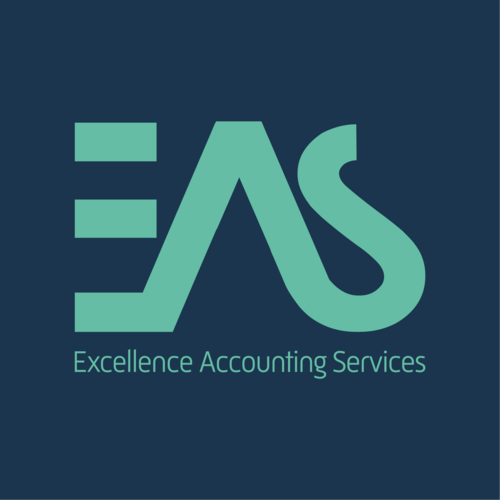 Executive Business Solutions (EBS) is an Accounting & Bookkeeping firm of experienced Chartered Accountants, providing various services to clients in the Fields of Accounting, Auditing and VAT. 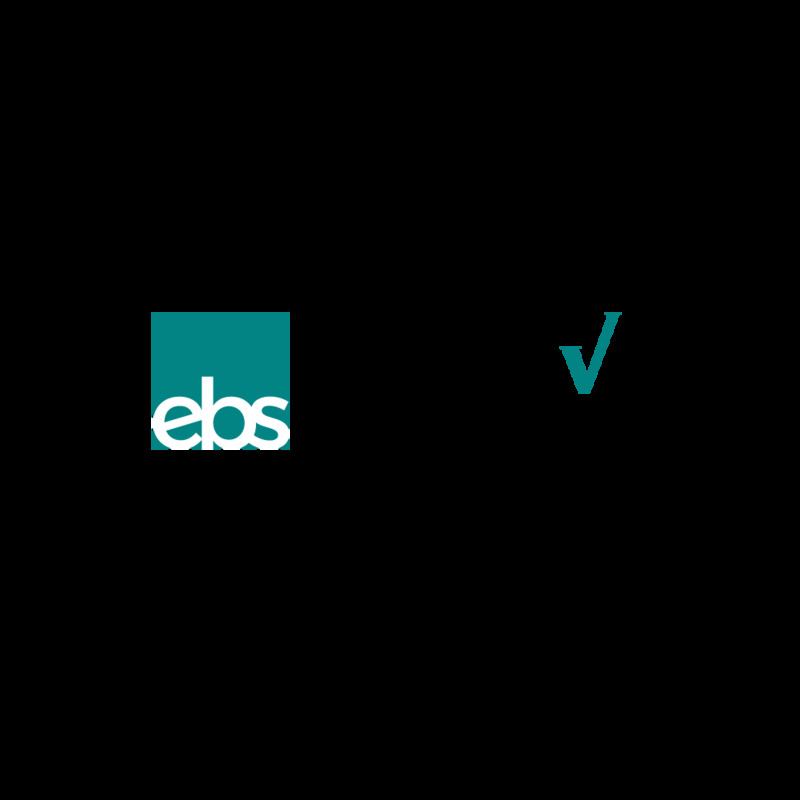 EBS not only takes care of accounts but provides solutions which include accounting softwares and acts as the financial outsourcing experts. We are one of the leading computer and software trading company in UAE based in Ajman Freezone, We are specialized in all type of Computer Hardware and Software Services in UAE. We are a leading UAE company providing quality service across the Middle East to assist & partner our clients and be a solution provider. We specialize in economical financial solutions and our offerings include a wide array of financial services that cover Local Tax legislations (VAT and Excise), Professional finance support for entities, CFO Services, Bookkeeping and support the businesses to fulfill their requirements of compliance and internal controls. We are a team of experts from around the world in the areas of Accounting, Finance, IT, Human Resources, VAT and taxation. We also have an experience in system implementation for multiple companies with SAP, NetSuite, Oracle, Tally, Quickbooks and now Zoho Books, which is the could based Accounting system that can help you to remove the manual work as well as it minimize your cost by providing Online system that you can access from around the world. I am a CA from India with more than 25 years of experience in Accounting, Finance, MIS, Taxation, Corporate Governance, Risk Management, Strategy Implementation. My experience has been diverse In terms of the Industries, countries and size of the companies that I have worked. This helps me understand my clients easily regardless of their size, stature ,nationality or Industry. My services has the complete range discussed above though my focus currently is on the VAT implementation in UAE. I've over 10 years of Accounting experience in outsourcing industry where my career mainly has been focused on managing outsourced accounting procedures of client’s from all over UAE, US, UK, Australia and India region. END TO END FINANCE AND ACCOUNTS OUTSOURCING COMPANY. Bhavik Shah R. P. Shah & Co.
M/s. R. P. Shah & Co. is a Partnership Firm. It has completed over 6 decades of successful service to its clients. 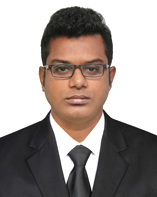 The firm was started by Late Prof. R. P. Shah in the year 1949. The firm specializes and practices in various areas of Finance, Audit & Tax. We are a Cloud CRM and Finance SaaS Consulting and Implementation services provider.With deep Accounting and Financial services and expertise we want to partner with Zoho Books and drive the growth in the market place. We will partner with professionals and services firms to expand the network. 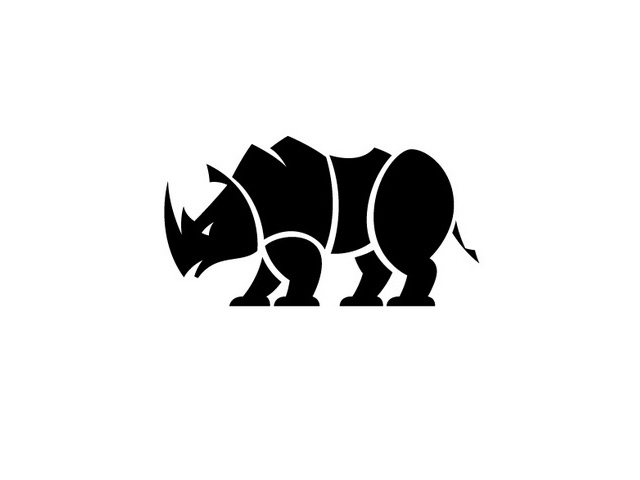 Rhino has been established by a family of Chartered Accountants to partner with you to provide a range of book keeping, accounting, financial and regulatory compliance services for your business so that you can concentrate on your core business areas. Saif Chartered Accountants is a professional firm of Chartered Accountants, established in Dubai as an auditing and accounting firm. We have a full-fledged team with professional qualifications and experience in the field of accounting, auditing and business consultancy. Established in 1994, with offices in Dubai, Hamriyah Free Zone, Sharjah and associate offices in RAK Free Trade Zone, London and India. Delivering efficiency to your business. We are into Tax, Accounting and Business consulting since 2010. 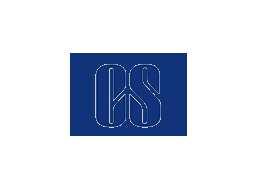 A more than one decade old multi-disciplinary company, based out of India with extensive network of associates in India, Singapore, Hongkong and USA. We provide one stop consulting solutions to clients starting from proprietorship to bigger PSUs and listed companies in the areas of Taxation, legal, finance and business advisory. The company has experienced team of CAs, CSs, Lawyers, MBAs and other domain experts to help clients realise their potential. For details visit our website. Happy to assist. The Mission of the Firm is to provide clients with a ‘One-Stop Solution’ for all their business, financial and regulatory requirements. The firm’s focus on ACT (Accountability, Confidentiality and Transparency) and exceptional commitment to our purpose of converting knowledge into value for the benefit of our clients has established us as one of the most trusted Chartered Accountancy firms of Odisha. An IT consulting company for business and educational institutions providing and developing software Solution's for all requirements. We have more than 20 years of experience in the KPO industry. We have specialized in accounting, book keeping & payroll processing. Also we have used various ERP software and tools for our needs. We are a professional firm engaged in cloud book keeping in Zoho Books, GST return preparation and Filing, Account Payable Management, Inventory Control, etc. Consultancy company with a vision to Digitally Transform Business Operations, Enhance Business Intelligence and Embrace Predictive Analysis. 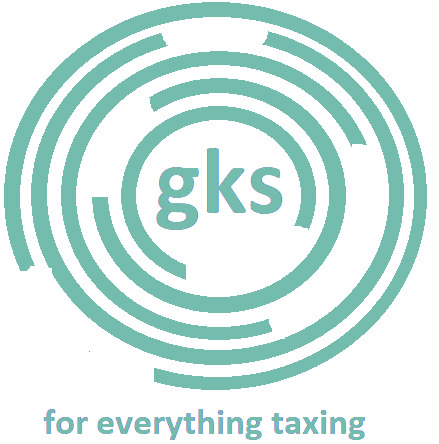 Best place for your Tax Planning and Tax Compliance needs. Welcome to Worldwide Business Consulting has massive experience in this business. Our motto has always been timely service, best quality, and optimum cost. We are in touch with our customers through quality, performance, service and assistance. Bringing the best of value to our customers, we also care as much about our customers. 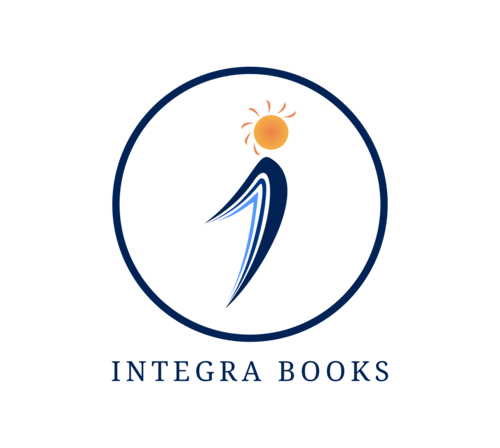 Integra Books provides a business owner with a unique solution which combines an easy to use accounting software with a dedicated bookkeeper. An entrepreneur is assured of a domain expert along with a cloud-based accounting software.Backed by over 20 years of experience, we aim at providing expert financial advice for businesses so that they always have the financial advice and knowledge they need, real-time. ABIT (Ashraf Bassas Est. For IT) is an IT service provider that specializes in providing bilingual accounting & audit reliable software at competitive price. It is the sole distributor of Draftworx™ in the GCC. ABIT strives to build long term relationships based on mutual trust resulting from meeting customer expectations. Premium Quality Consultants (PQC) is an Australian managed company in Dubai (United Arab Emirates) that specializes in implementing online business management & financial reporting systems. ADVVO is a Bahraini company founded in 2016 and aims to contribute to the advancement of the legal sector, through developing techniques for using software to facilitate the work of lawyers and legal workers and help companies and individuals to gain access to the various legal services seamlessly. AMIT KUMAR AMIT RAJENDER & CO. I have been in practice since 2003 in Delhi and having clients ranging from Individuals to Corporate & HNIs. In India & Overseas. Apart from the Audit & Advisory I am practicing in the fields of Taxation, Book Keeping. Corporate finance advisory services offering outsourced accounting and CFO services to client. We work with small to medium enterprises and help in raising debt and equity; setting up of accounting systems for clients; financial planning and reporting; preparing business plans and annual budgets; monitoring cash flow and working capital requirements. TechnoPath is a solutions-oriented company that has more than 50 man-years experience in providing accounting, business management solutions to small and TechnoPath is a solutions-oriented company that has more than 50 man-years experience in providing accounting, business management solutions to small and medium-sized businesses. We offer services to our clients during the selection of software, implementation, training, and post-implementation support. 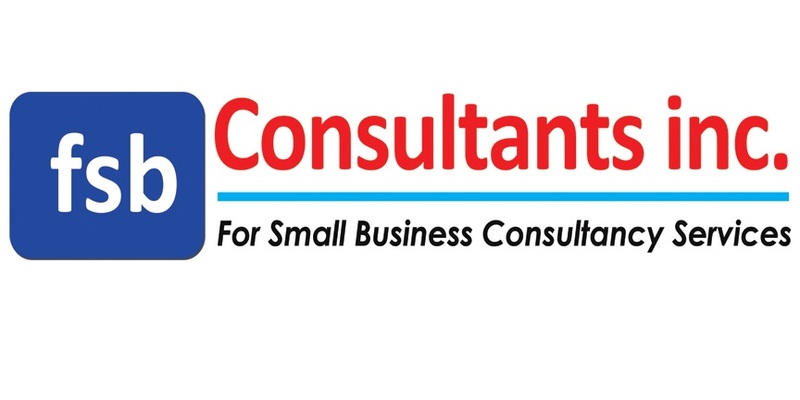 SB Consulting is a virtual CPA firm that provides outsourced bookkeeping and payroll services. We also assist our clients by helping them streamline their business processes so they can focus on increasing sales while spending less time on paperwork. Dawn Carey SD Bookkeeping, Inc.
SD Bookkeeping Inc has been providing affordable, professional & reliable bookkeeping services to small businesses, since 2007. We pride ourselves on building a personal relationship with each and every client. We work with your CPA or tax preparer to help you save on tax return preparation fees. Our clients aren’t a number to us, they are our family. We are an outsourced bookkeeping firm specializing in on or offsite bookkeeping. We utilize various tools to provide these services including ZohoBooks, Hubdoc, ReceiptBank and other tools to maximize the efficiency of the bookkeeping process. We are excited to be part of the ZohoBooks family and plan on introducing it to our clients. Simplified Accounting is a full-service accounting company servicing the small business community locally and across the globe via the cloud. We provide small business owners the peace of mind needed to focus on their expertise by providing tailored bookkeeping, accounting, and tax services. Small Business Aide works with non-profits, C and S Corporations, LLC, partnerships and individuals. We work with a variety of businesses – including construction firms, moving companies, realty management firms, churches, lawyers, restaurants and specialized industries like electrical, plumbing, flooring and graphic artists. We provide tax and consulting services to many states within the US as well as working with US citizens in several countries.We will work with you on a personal level to determine the best solutions for your unique needs, then leverage our seasoned expertise to achieve the best possible results. Our firm is large enough to offer a full range of professional services at a fair price but small enough to give you the individual attention you deserve. We provide smart solutions consulting and training - allowing your team to GET MORE DONE with the use of smart technology you already have access to.We provide patient, methodical training - on-site, or remotely. 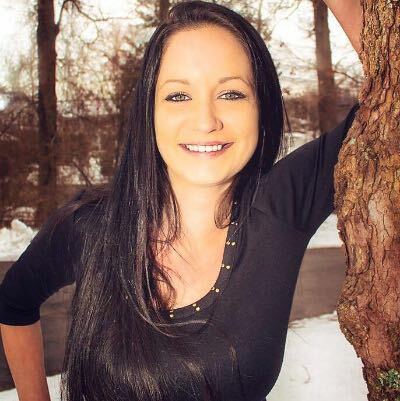 Heather Bell SavaBooks Accounting & Consulting, Inc.
SavaBooks offers products and services that are true 'business solutions.' Our staff of certified experts have the experience and the know-how to ensure that you get the help that you need. Our standard at SavaBooks is to ensure our clients are provided with practical, cost-effective solutions in a timely manner. 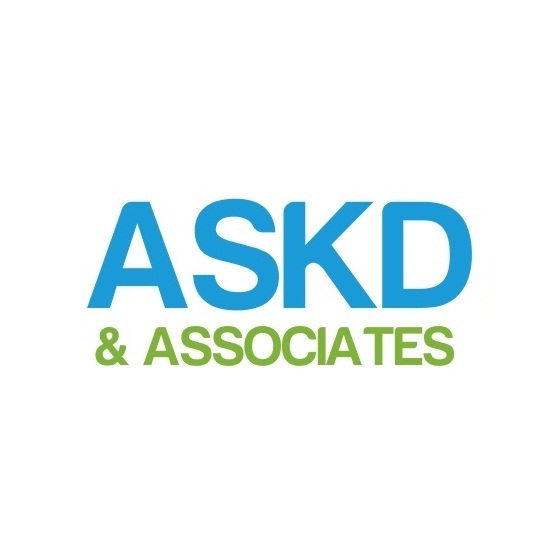 TBPK is a multidisciplinary partnership located in Montreal (Canada) who is composed of a team of legal advisors and recognized certified professional accountants. 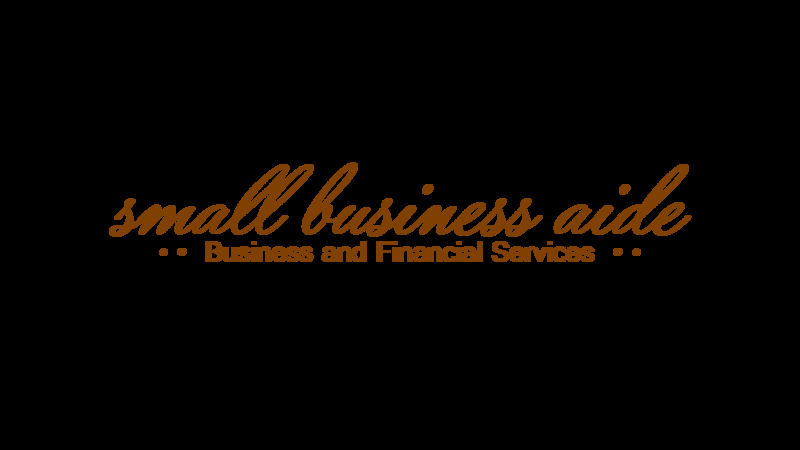 We provide assistance to small businesses and entrepreneurs. TBPK’s combines a multi-disciplinary approach in the legal, accounting, finance, tax and consulting fields to help clients meet challenges and respond to opportunities. Accounting and Efficiency Gurus that make your business processes lean, leaving your employees to revenue-generating activities and the grueling tasks to technology. Then we show you how to leverage your data to make good decisions for your organization. The Storytelling BeanCounter is focused on helping Small Businesses monitor, manage and control their finances online. We make our skills available to provide coaching, advice, and day to day assistance in the business operations.Helping Small Business Walk the Talk to achieve business success. Count on TGM for all of your business and bookkeeping needs. We offer individualized solutions to improve and streamline business processes through consulting and bookkeeping services. 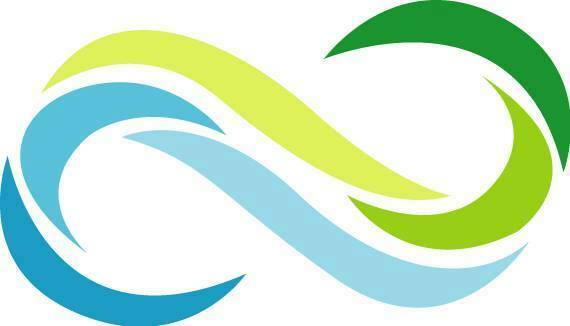 Our mission is to increase efficiency, profitability and provide business owners with peace of mind. Ultimate Bookkeeping Solutions, LLC specializes in providing accounting solutions that help small businesses succeed. Our services offer a number of ways for us to work together to optimize the financial position of your company. Whether you have weekly, monthly, quarterly or occasional needs, let us customize a program that works for you. Redbrook Advisors is a management consulting company providing strategic and financial advisory services to early stage ventures, small businesses, nonprofit and public sector. Our economists and advisors are seasoned experts from the private and public sectors, and each is committed to professionalism and excellence in all of our work.We share that experience with you, as well. We are a team of experienced accountants doing what WE love, so that you can get on with your business doing what YOU love. We work with you to grow your business and improve your bottom line. We are here to help you make those critical financial decisions by giving you instant access to your books anywhere. We offer a virtual, fixed price, value based service - to start up, small and midsized businesses. There are NO Contracts, NO Commitments and NO Surprises. Ultimately, you get accurate, reliable, consistent accounting with minimum effort on your part. So you can keep your focus where it needs to be – running your business. Voyager is a niche firm working with small to medium businesses . Our typical client is looking for a flexible, innovative Virtual CFO to help them with systems, planning and growth. We make sure clients are looked after, being responsive to emails/phone calls, being proactive in monitoring and reviewing clients' finances. We help you discover the 'blind spot' of any unused tax advantages and save more money by cutting your tax bills legally. Our mission is to help people maintain a healthy lifestyle, so we help small businesses maintain a sense of finance well being so you will help more people become healthier and happier. I have been involved with small business accounting 1995. My advantage is that I am not just concerned about accounting or bookkeeping. I came from the being a small business owner to servicing small businesses and can see issues from their perspective. My goal is your success and offer affordable business services for you to achieve that. Your efforts should be spent persuing new business or your favorite pastime, not trying to reconcile a bank account. Need help implementing, integrating, training your team, or migrating data to Zoho Books? No problem! Our Zoho Certified Consultants do your bidding while you run your business. Our solutions are more geared towards field services and professional services businesses, but we work with clients of all business models and sizes. Black & white bookkeeping for small businesses.... As registered BAS Agents, Zebra Bookkeeping offer a comprehensive & flexible bookkeeping service both on-site and off-site. Our services are tailored to the individual requirements or your unique business. Our speciality is as stress relievers for business owners! We are a Accounting, Bookkeeping, Information Systems, Payroll, and Taxation services company. PayInBits Convenience (PiBC) strides at giving each of its clients the best at the most convenience possible. It is an organisation that is able to identify the core needs of its clients and is very eager to help each client achieve the fulfillment of their personalized needs. XISTGroup is a niche player advising and the implementation of premier ERP and CRM systems. 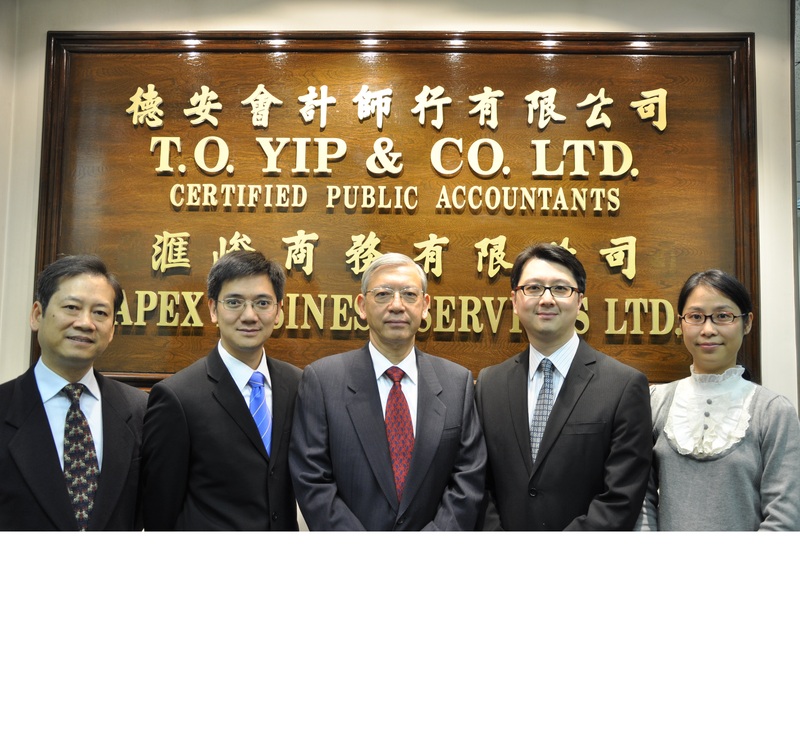 We are a firm of Certified Public Accountants (CPA) in Hong Kong. Founded over 40 years ago, we continue to evolve and now as a Corporate Practice with qualified ACCA, HKICPA, ICAA and CPA(Aust) among our staff. Our partners have held senior positions in financial institutions to enable us to offer strategic, management, operation, regulatory & compliance consulting services. Our clients include financial institutions, multi-nationals, listed companies'​ subsidiaries and SME. STESA, with the skills of Zoho Books Advisor and Zoho CRM partner, can provide all the expertise that can help your business to manage the entire business cycle, from sales to accounting. Accounting and Tax Services provide 'big corporation' Professional financial services to both individuals and small businesses at 'small business' prices. RE-MMAP gives the same attention to all clients, regardless of their size. The accounting, tax preparation, and other financial services RE-MMAP provide are tailored to the unique needs of each client, to ensure the best possible results and maximized returns. 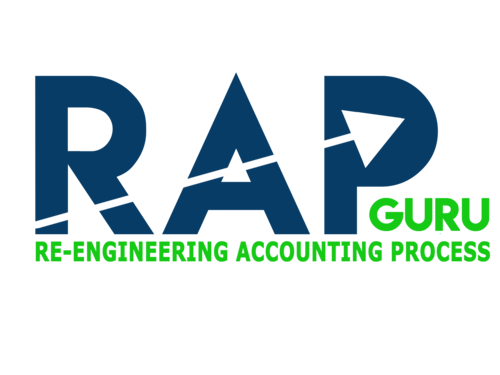 RE-MMAP associates are well informed and the firm continually adapt to the ever-changing world of tax law and accounting. 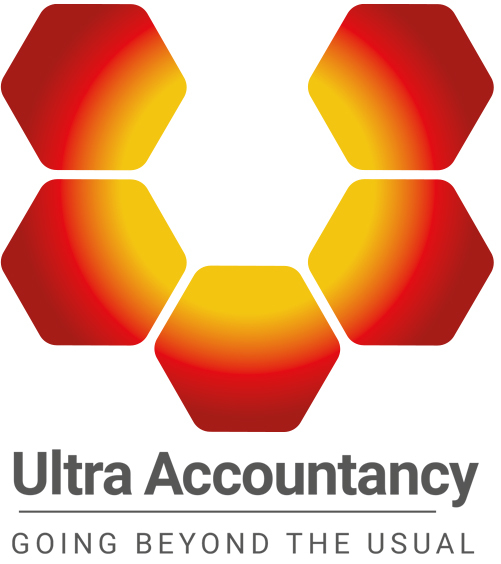 We are a firm of Chartered Certified Accountants based in Wakefield, West Yorkshire. 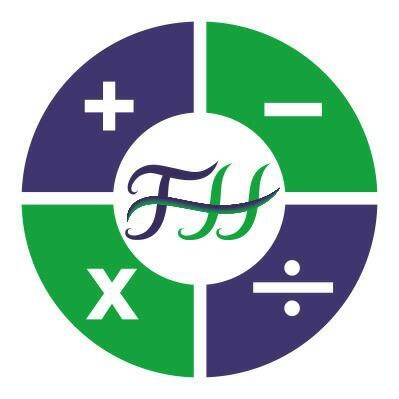 We provide a no-jargon, friendly and forward thinking approach to accountancy, making sure you receive excellent, personal service so that you can concentrate on running your business. We take the time to understand your business, so that we can provide a service which is completely bespoke to you. Anish Rathod Assetguard Financial Services Inc.
We are a dedicated team, providing unparalleled services in Payroll, Bookkeeping, Tax Filings/Returns and Financial Planning for Small Businesses and Individuals. I worked for Multinational companies engaged in different industries such as Food Industry, IT, Insurance, Manufacturing, BPO( Business Process Outsourcing) Educational Industry and Travel & Tourism where I gained extensive experience in financial preparation, bank reconciliation and budgeting. I am fluent in all applicable accounting software specifically Zohobooks, Intuit QuickBooks Online, Xero, Wave and Waveapps. MD&Co is a full service tax and accounting firm. We also provide training and implementation of Zoho books. Outsourced accounting services are also available. 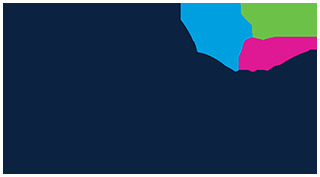 Cofinia provides accounting and BI services for small business in Quebec City. Full service Accounting and Bookkeeping company. Controller for Hire. Implementations and troubleshooting. We offer you help with installation,set-up, training and on going support, Personalized one on one - support directly to YOU from the owner via phone or internet. Accounting and computer experience gained over 25 years. 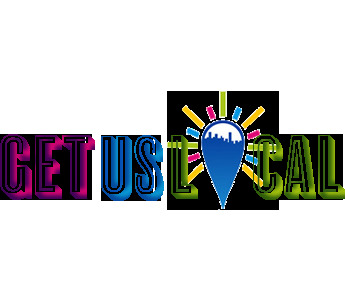 We offer many difference services year round. We will also soon have Enrolled Agents and CPA's. We can assist you in both English and Spanish. We also specialize in transcription, editing, proofreading, bookkeeping, and various other services. Encore Professional Services is an established corporate formation and business management services provider with over 10 years experience and a team of qualified professionals. fBased in Hong Kong, Encore assists clients around the world conduct their business in Asia and are the ideal partner with the expertise to help and support business implement and manage a range of fundamental strategies and business processes. Assist and drive you to have Zoho Book integrated software for a company, Accounting Service for audit-able report, Tax Planning and Tax Advisory Management, Company Management set up, VAT Report and restitution service by integrity and competency updated persons. We have been working with businesses from Sole Traders up to medium size businesses since 2004. We primarily focus on Startup / Setup to Pre-Audit. Our areas of focus are - Accounting | Tax | Payroll | Software | Consulting. Automation services: curating software for autonomous processing of tasks; management services; system maintenance. 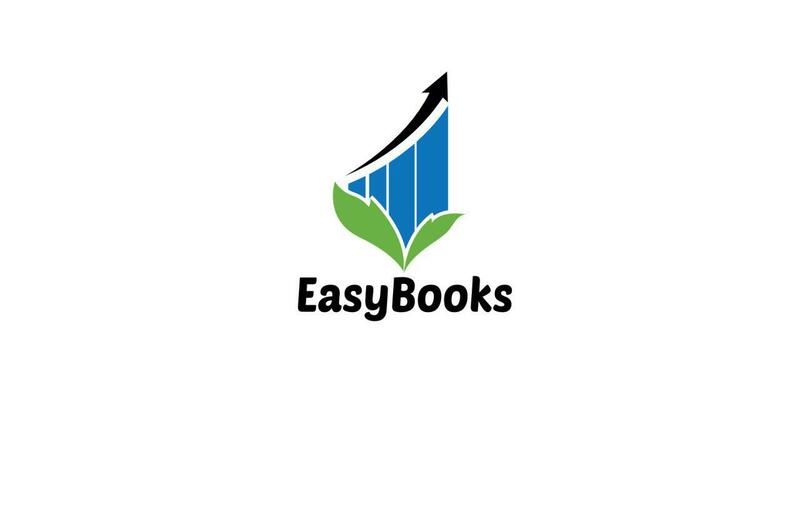 EasyBooks is considered as one of the leading financial service, accounting software and inventory software to all type of organizations and companies. Started a few years ago with our attendance to develop the Capability of Iraqi accountants Skills & Proficiency on all areas of Accountancy. At EDR, we are completely committed to our clients. By offering boutique and tailor made services to our clients we are able to offer a first class experience next to no other. It is our mission to assist our clients through every step of their journey and become a trusted advisor to the business. We achieve these goals through getting to know our clients inside and out, what drives their business and now we can work together to monitor and push to achieve their goals. PCV Consultores puede apoyar a tu empresa implementando ZOHO Books y ajustándolo a la realidad de tu negocio. Además te podemos ayudar con servicios de consultoría e implementación de otros sistemas que puedan ayudar a simplificar tu negocio. Contamos con soluciones enfocadas tanto para PYMEs como para empresas de mayor tamaño. Nuestro equipo de profesionales junto con nuestras alianzas pueden apoyarlo para llevar a su empresa al siguiente nivel. ObanBooks consist of a team of young professional accountants providing start up bookkeeping services for sole traders and business owners in Nigeria. 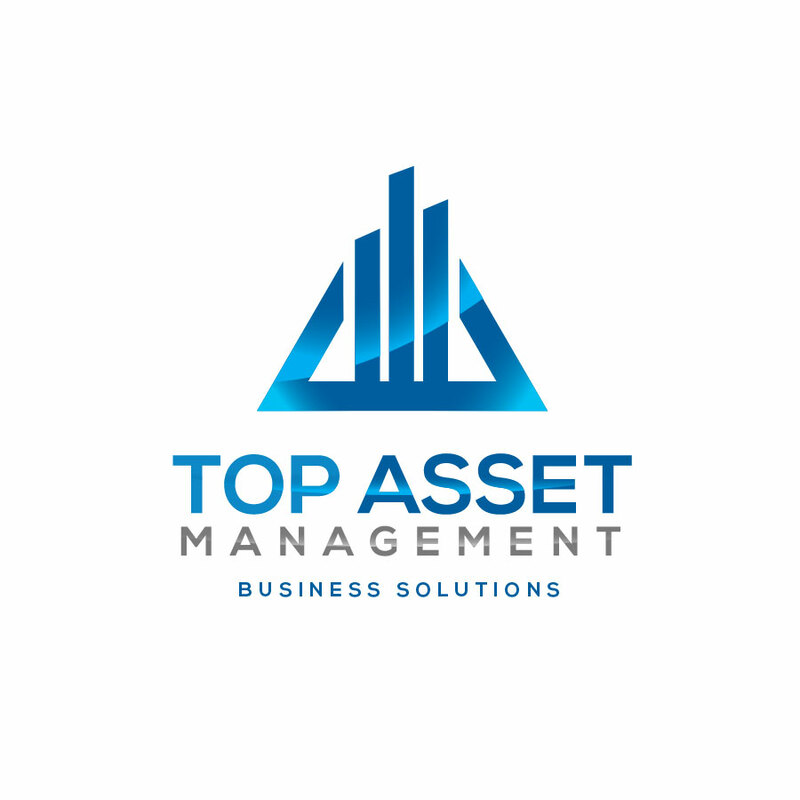 Top Asset Management is a performance management consulting firm helping small/medium size businesses, and professional practices, in the pursuit of sustainable solutions, practices, and investments that make for growth and profitability. Next Door Bookkeeping provides bookkeeping services for sole proprietors, freelance contractors, and small-businesses. We can help set up your books for the first time, provide ongoing services and data entry, or simply provide on-demand training for you office staff. 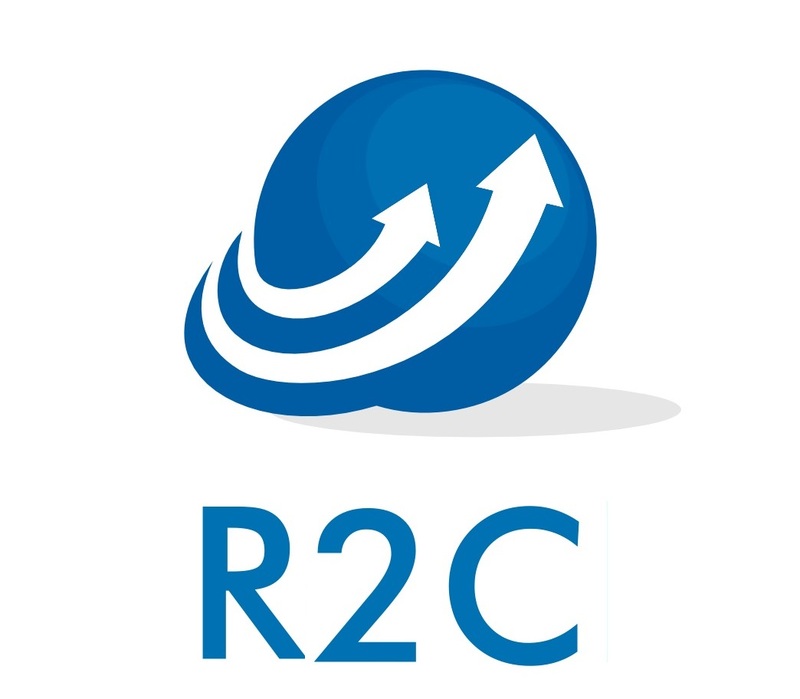 CRM7.com.br is a strategic channel for the resale of Zoho licenses in Brazil developed by Stor7. Professional Services Consulting for over 20 years • Bookkeeping: Quarterly & Monthly closings, Financial Reports • Zoho Books Consulting -Certified Advisor: support & training, process monitoring, setup & implementations, migrations & data import, customizations. My mission is to put my recognized quality of work at your service to assist you in administrative areas such as Accounting, Taxation and Finance to let you focus on your business. 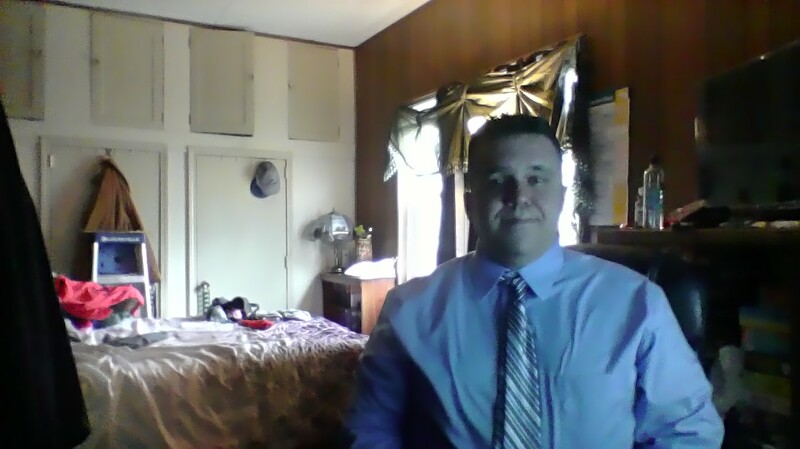 I'm the professional you need. I can assist your technician when difficult transactions have to be recorded, double check the Gouvernment forms or simply discuss your organization challenges. Choose an accountant veteran with over 15 years of experience. We are a business consulting, web design and marketing firm that specializes in getting small businesses organized and setup with the most recent technologies and create effective processes internally as well as in sales and marketing. We also offer some administrative help to allow smaller businesses to keep their cost down while growing. Your success is our success. 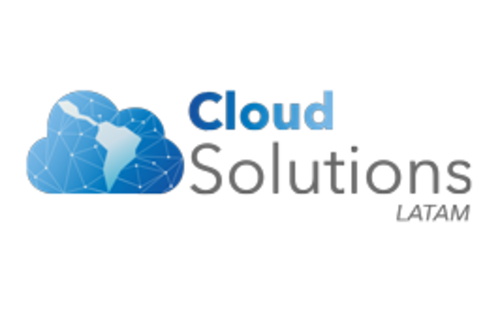 We pair innovative cloud based products with sensible business advice that yield proven advantages to clients in even the most demanding circumstances. And perhaps most importantly these services are provided by quality accounting and administrative personnel, professionals who have proven track records in their fields in delivering timely and accurate outcomes. Mühler McKay is a boutique advisory firm and comprises of highly experienced, flexible and out of the box thinking international business lawyers and business consultants providing broad and integrated range of legal and business services in Hong Kong and Germany. Configuramos e integramos varias soluciones Saas para las Pymes. Tener la aplicación ajustada a sus necesidades y una capacitación apropiada facilitaran su uso y las posibles mejoras en los procesos en su empresa. Contamos con especialistas en contabilidad, auditoria y asesoría fiscal para acompañar su departamento de administración en la implementación de Zoho Books. 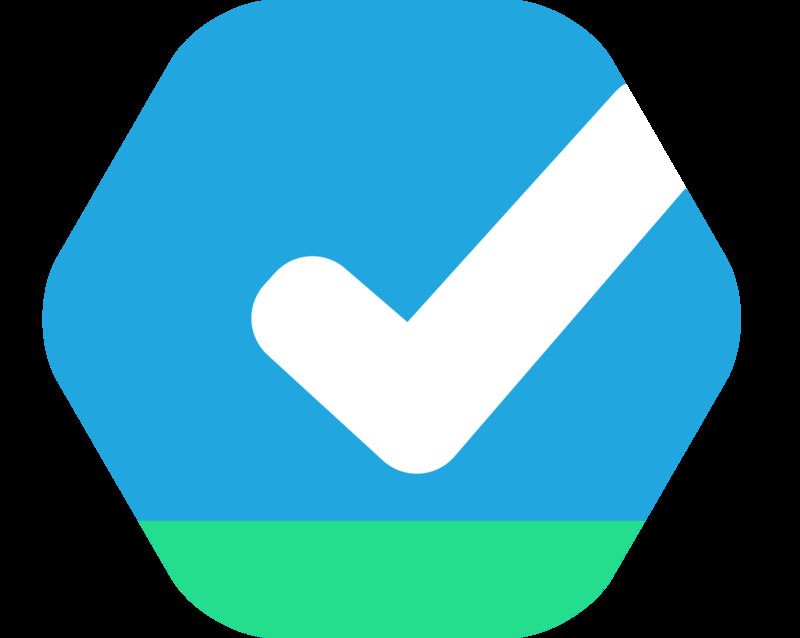 Tectagon is a Jakarta-based software development agency. We are dedicated to delivering IT solutions to our clients, whether they are start-up operations or large corporations. 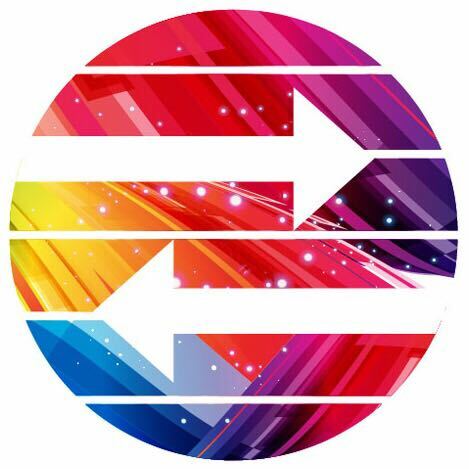 Using the latest technologies, coupled with creativity and proficiency, the agency offers web-based IT solutions including ERP Financial Accounting design & implementation, corporate website design, CMS, eCommerce solution, mobile apps development, SEO, Search Engine Marketing (SEM) and digital marketing. Marla J. Blanchard is Chief Solutions Officer, and Owner/Operator for MJB's Bookkeeping Solutions. Marla personally serves clients in California and nationwide. She brings to your table 25 years of large company experience, 7 years of QuickBooks experience, Intuit Certification, and Bookkeeper Certification. Marla also shares 20 years of budgeting insight and operating on a fixed income. While not meticulously taking care of your accounting and bookkeeping, Marla volunteers her time as an online counselor for SCORE – 'For the Life of Your Business', and as bookkeeper for Simi At The Garden, a non-profit organization. IBS Singapore is a boutique Accounting, Audit, Tax and Management Consulting Firm. IBS Singapore takes care of and partnering with Startup and SME clients in South East Asia & India. We not just add value to our clients but create ONE. Mindreframing Management Services Ltd. is a service provider for its clients. We provide accounting and bookkeeping services and we also serve as Business Consultants for our clients. We work towards making the different aspects of their business as easy as possible and we look forward to working with Zoho Books and keeping our clients satisfied. 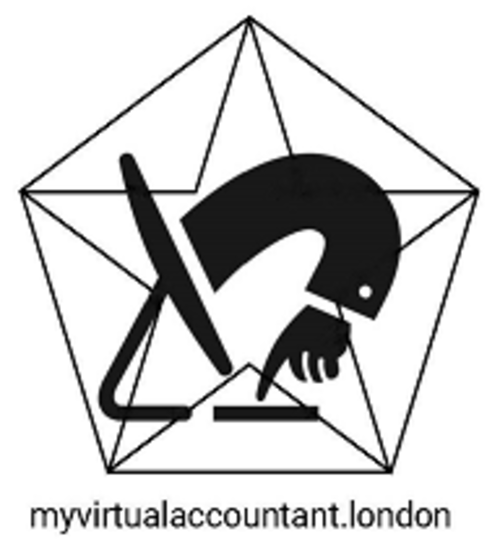 I am a virtual Tax Pro and Bookkeeping Consultant who specializes in Solopreneur online businesses. I help people get their bookkeeping set-up and train them on how to use the program. I also help with tax preparation of 1040 & Schedule C tax returns and tax planning. MCO Financial Services started in 2009 by offering financial services to our clients. 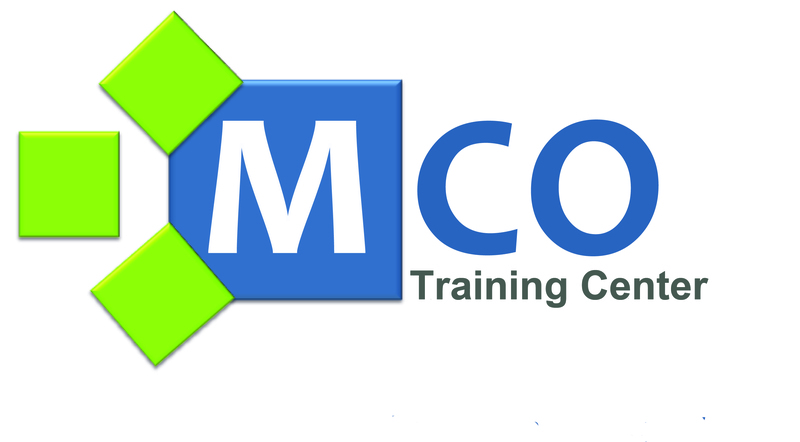 After 2 years in business MCO Financial Services opened a new branch MCO Training Center to offer wide range of computer software training to our clients. Our expertise lie in transitioning clients to cloud accounting.Zero data entry and striving to maximise efficiency of your business operations is our goal. I'm a self employed professional with over 20+years of experience working in finance. My experience spans from small local accountancy firm to global corporations. My practice provides a flexible, competitive, and robust service to cover all your day to day accounting, budgeting, costing, and revenue needs. Complete confidentially Full CV and references is available on request. At M3 Business Solutions, we partner with our clients as a trusted business advisor and a go-to source for all financial related processes. Since we are also a Zoho CRM Alliance Partner, we understand that small to medium sized businesses are looking for one platform to run their business from. We understand these synergies between the applications. Contact us for a free consultation! Konsulere, LLC is a financial management company offering virtual CFO services, financial consulting, accounting, bookkeeping, payroll, and tax preparation. We have over 20 years of experience managing small business and emerging enterprise clients. Singapore accounting, taxation and advisory solutions provider. We help you manage your accounting compliance related matters so you can focus on what you do best, your core business. Dümmer and Neal Accountants is a young and tech savvy accounting firm specialising in monthly accounting services though use of the industry leading cloud accounting and bookkeeping automation software. We service clients throughout South Africa with our primary areas of focus being KwaZulu Natal, Cape Town and Johannesburg. 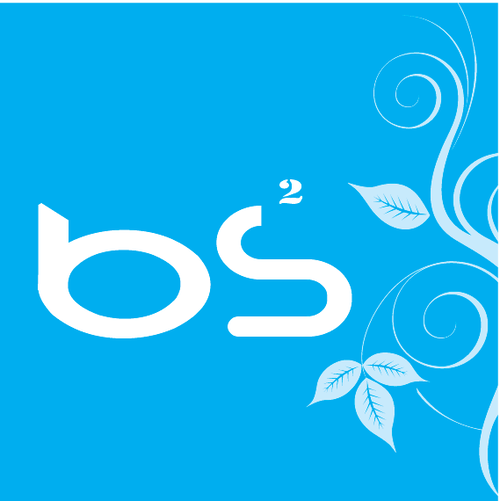 BSNS CONSULTING is an established firm providing solutions and services to different sectors at different levels around the globe. We have a team of professional and experienced chartered accountants who have worked at different levels in different sectors. 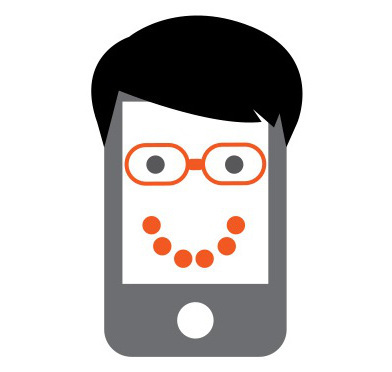 We have a dedicated team which is looking after the BPOs and online contracts. We have been providing taxation and consulting services & implementing accounting systems for many clients for the last 5 years. We are a well established firm of chartered accountants having 5 partners out of which 3 are fellow member of the ICAI. Our firm was established in 2009 and presentably having good clients and firm has staff strength of 25 well skilled CAs/Semi qualified. Khawaja Saleem and Co carrying on professional practice of rendering audit, tax and business advisory services in Pakistan. The firm was established in Lahore in 2000. Thus, it is the experienced established firm of professional accountants in Pakistan. It has team of Professional Accountants, MBAs, qualified Information Technology and Tax professionals. The firm’s experience includes serving a large number organizations including several Government and non-government organization. Pankaj Damle Sumarth Services Pty Ltd. Provide Bookkeeping and Accounting software implementation, data migration and support services. 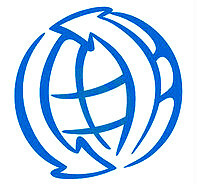 The KG Business Management (KGBM) established November 2014. Our commitment is comprehensive service for each of our clients and in looking to provide solutions to their business problems. I am a certified public accountant with experience working with individuals, businesses, and charitable organizations. I provide fast, reliable, affordable accounting, bookkeeping, QuickBooks/Zoho, and tax services. I can also represent you before the IRS. To find out more about how I can help you or your business, please contact me for a free, no obligation consultation. Chartered Accountant automating bookkeeping processes, reporting to management and providing recommendations. Catering for clients from e-commerce or software industry. EazeTAX.CA is a subscription model with rates from $55/- per month (Bookkeeping, GST & Corporate Taxes with free Zoho books STANDARD plans for a year, turnover upto $100K) $125/ per month (Bookkeeping, Year-End T4/T5 filing, Inventory, GST & Corporate Taxes with free Zoho PROFESSIONAL plans for a year, turnover upto $300K and Free Website with 5 pages). Bookkeeper with 10+ years of experience in accounting and tax. Big firm services with small firm prices. Kerry Dyer CPA, PLLC based in the United States provides a full range of tax preparation, accounting and bookkeeping services, either in your facility or at our location. We have many tools available to us to get the work done that fits what is best for our clients. We can provide qualified accounting professionals who can ensure that your financial records are maintained correctly and accurately. Our bookkeepers can also assist in setting up and training your staff on your financial system.We work with you to ensure that your personal or business processes are conducted in a manner that ensures ongoing integrity in your financial transactions. Accounting services no longer require in-house staff and all the accompanying overhead expenses and hassles. Cofinia conseil vise à accompagner les PME dans leur croissance en leur offrant des services de haute qualité en comptabilité de management, en comptabilité financière et en intelligence d'affaires. I strive to give excellent, personal service. I want to understand your unique situation and help you succeed. Accounting and taxes can be overwhelming when you are in business. I will give you straight-forward answers. My specialty is tax planning, helping you make and keep more of your money. 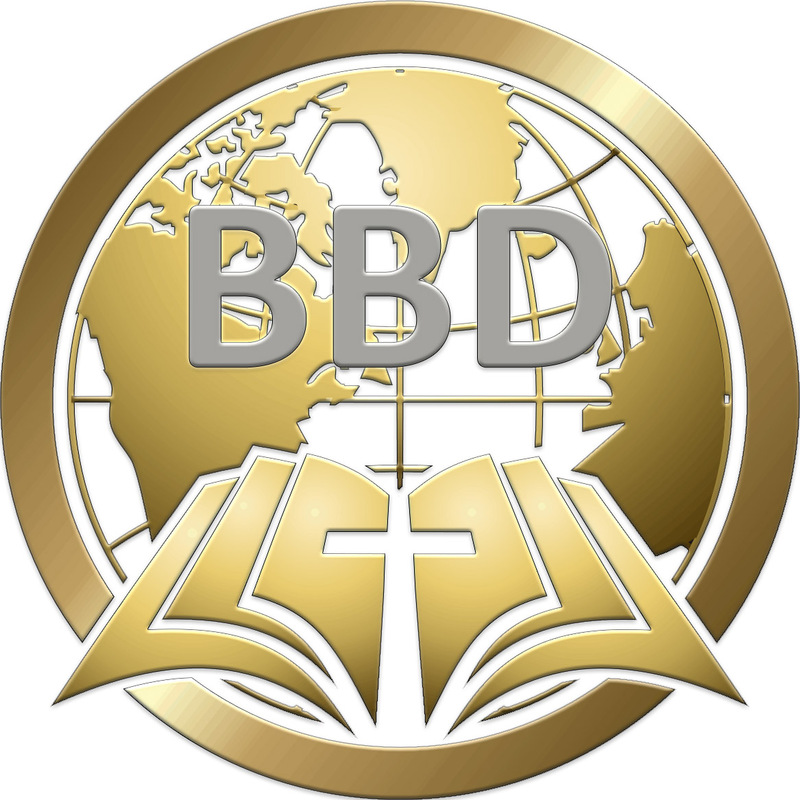 Sean Alexander, Ph.D. BBD Financial Services Group, LLC. BBD Financial Services Group LLC has the real-world financial and operational experience required to take a hands-on approach for the execution of recommended initiatives for making money and attaining business success. 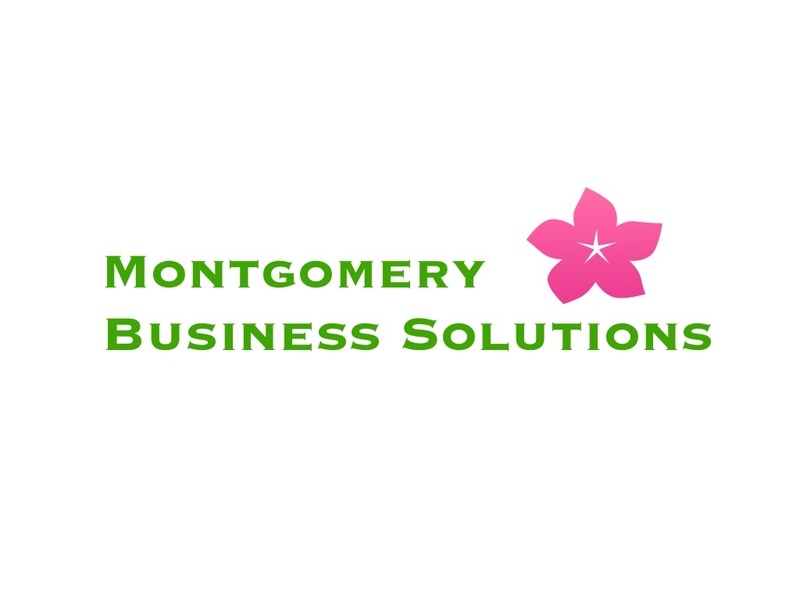 Montgomery Business Solutions is a bookkeeping and administrative services firm. Kohtz & Co is a small, fun, and friendly accounting and financial services firm. From individual tax planning to complex business consulting services, we are ready and able to be your full service financial services firm. 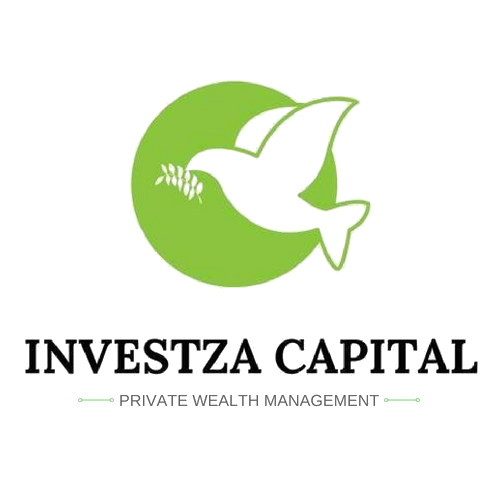 Our mission is to build trusting relationships while providing the advice and services which will enable our clients to succeed financially. 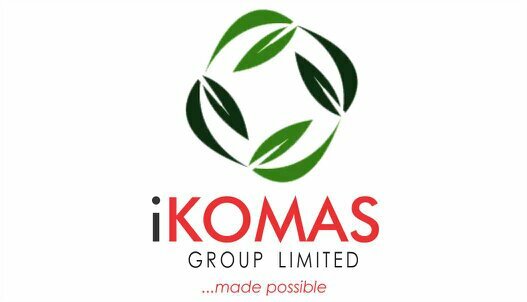 We are a Professional Service Organization established in 2001 and based in Nigeria. Our operational location covers the whole of West Africa. Our Service offering includes technology deployment, back office services like Accountancy, Human Resources, technology and Business Consulting. Peter Kajiura ICT NETWORK SYSTEMS INC.
ICT NETWORK SYSTEMS INC., is an outsource IT Service Company. We provide services from all IT as well an Accounting. We offer Hardware, Software, Services, Cloud Products, and more. 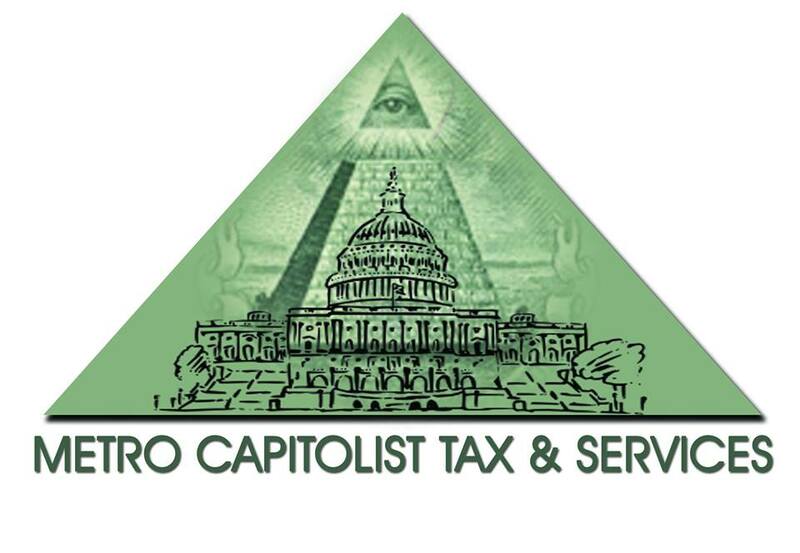 Accounting Practice servicing individual and small Business needs in the Washington DC area. Onshoring is geared towards helping meduim to midmarket companies launch into enterprise size. Our clients have a unique market advantages and typically turnover 10 to 40 million dollars, however are held back by legacy systems, people and processes. We see tremendous growth in this space and work closely with CFOs and business owners by helping them transform their businesses using ERP's and middleware technologies to streamline processes. Kontabit Llc serves small businesses, start-ups, and individuals with a complete array of Accounting, Tax and Business consulting services. The Kafnet is a consulting firm specializing in Zoho products. We offer training and Zoho Books configuration as well as integration with CRM, Expense, Project, Inventory and Subscriptions. Developed in Zoho Creator applications to customize according to your needs. Joshua Lance CPA, LLC is a “boutique” certified public accounting firm. We leverage today’s best technologies to support innovative clients with their financials. Specifically, we tap the power of cloud-based solutions to deliver outsourced accounting and tax services.Headquartered in Chicago, we cater to a niche target audience: craft breweries and tech-centric startup companies. Our team of knowledgeable professionals will guide your organization by providing critical compliance information and cutting edge solutions to typical HR challenges. Having a different service provider for every jurisdiction is a thing of the past due to integrated technology and standardized reporting. 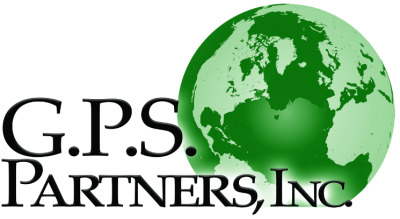 At GPSP we provide a wide range of innovative services incorporating best practices and emerging technologies into a complete suite of outsourced solutions in more than 80 countries. Bitdigit LLC provides a full range of bookkeeping services for small- to medium-sized businesses. We work with companies in a wide range of industries including professional services, manufacturing, health care, retail, food and beverage, real estate and individual households. Our services range from periodic write-up services to hands-on payroll, accounts receivable, billing, accounts payable and inventory management. 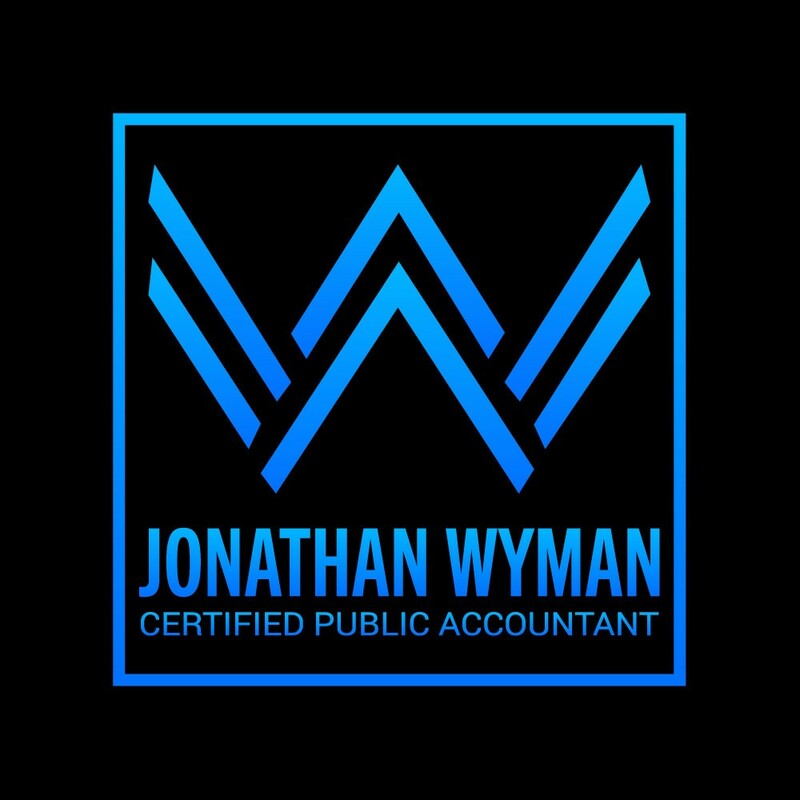 Jonathan Weiss uses his expertise in multi-family property management, operations, and accounting to help provide clients with more insightful, actionable, and transparent financial data. We are a group of Professional Accountants with high integrity, ready to help you with your accounting needs. We can help in the following ways: provide accounting services by signing you on Zoho Accounting System with all the training needed, we provide both online and onsite support for our clients, project planning, any other accounting duties. Franklin S. Bufi FSB Consultants Inc. The company was founded in June 2017 to fill-in the gap for Accounting and Bookkeeping Services for SMEs. To cater to growing number of tech-savvy business owners, we position ourselves to be one of the premier provider of cloud-based accounting services. 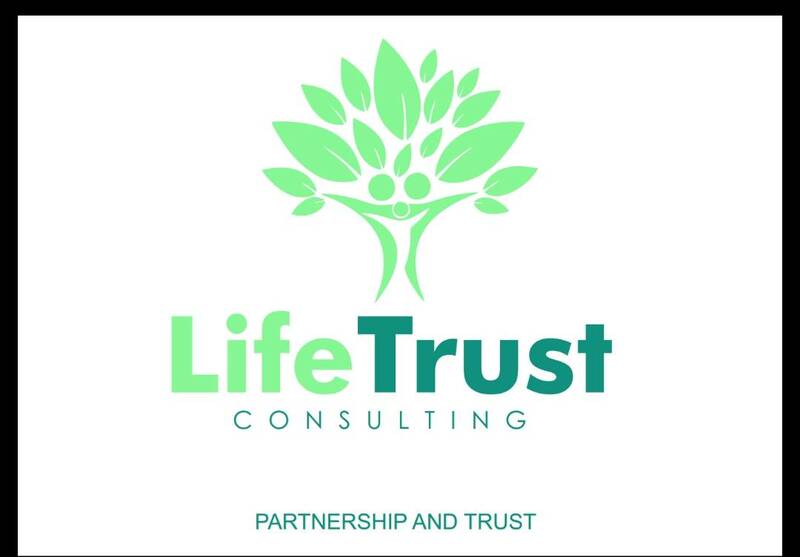 At LifeTrust Consulting, we offer tailor made consulting services, business and accounting solutions and tax planning services. 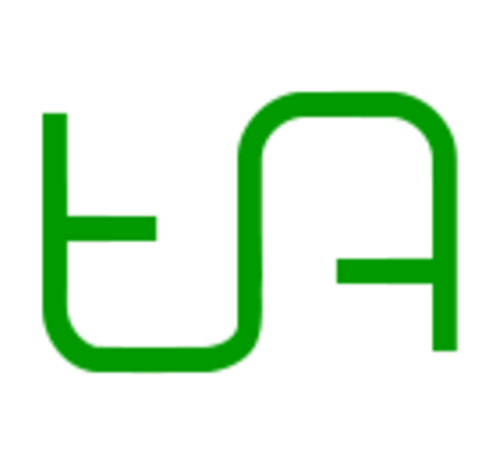 Mullika Sutiravidvanich JPAC Audit and Advisory Co.,Ltd. We are Audit and Consult company specialized in Accounting, Auditing, Tax and Business setup and registration. 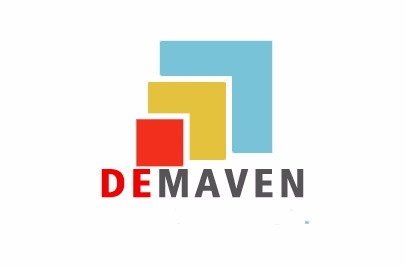 As a financial services provider, DE Maven offers a full range of bookkeeping and accounting services, Tax, Secretarial Services and Audit for small to mid-sized businesses. Depending on your company’s needs, we partner with you as your bookkeeper, accountant, controller, business advisor, part-time CFO — or the entire department. Our team of experienced and knowledgeable professionals will guide your Company on compliance and financial matters. 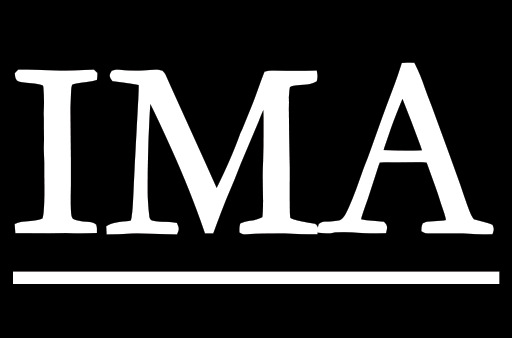 IMA Tax and Accounting LLC full-service tax advising and accounting firm comprised of highly trained tax and accounting professionals. We provide an uncompromising service with modern solutions to enable our clients to realize their maximum potential. We are dedicated to providing our clients with professional, personalized services and guidance in a wide range of financial and business needs. J Dixon Accounting Services, PC is a Frisco, TX CPA firm specializing in accounting services for small businesses and tax services for both individuals and business owners. As a local Frisco CPA firm, we have helped many local businesses with small business accounting services including outsourced accounting and bookkeeping, tax preparation and planning, new business advisement, IRS help and more. Public Accountant, specialized in Taxes (Mexican), Internal Control, Trainning and Planning (Tax and Finance). We are a full service bookkeeping firm serving clients up to 25 employees, payroll up to 50 employees. Each client has their own personal bookkeeper assigned. Our clients are our number one priority. To provide infinite opportunities for our clients and communities and become efficient Finance and Accounting Business Process Outsourcing service provider worldwide. We provide finance and accounting solutions tailored to comply with the clients. Our Members are ACCA Members, Affiliates. We have more than 5 years experience in CPA firm. Bank reconciliation, AP, AR, Payroll, Bookkeeping, Financial statements preparation, Financial and management accounting are our core areas of expertise. Summit Tax and Accounting was born out of a love for all things numbers. We are a small firm of professionals specializing in helping solopreneurs, small businesses, and non-profits with their accounting and tax needs. We also offer tax compliance, planning, and resolution services to individuals. We aim to provide our customers with a big firm feel for small firm prices and we strive for perfection in all we do. Outsourced Business Solutions, LLC provides back-office services to startups, small and medium-sized businesses. We are a one-stop source for business registration, setting up proper bookkeeping, setting up your online IT environment (email, phone, data storage, backup) that will easily scale up as needed. 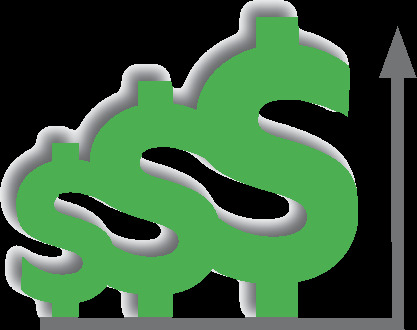 We can process your vendor payments and bill your customers. If you have employees we will set up proper HR policies and monitor compliance, as well as process your payroll. Integrity Accounting is located in the heart of Southern Maryland, our mission to provide unparalleled services at the lowest possible rate. Our boutique style accounting firm provides finance, accounting, tax, payroll, human resource, and business development services to a range of clientele. Rather you’re a start-up business, a developing company or a mature corporation, Integrity Accounting has the expertise to enrich and strengthen your financial well-being.